The inspirational Rotary Leadership Institute breakfast in Wellington, NZ, on December 6 during Rotary Zones 7B and 8 Institute and the combined District 9940 Conference was a sell out for 140 delegates from the 27 NZ and Australian-based districts. Past Rotary International President Bill Boyd’s thought-provoking presentation was from the perspective of a new Rotarian who had been sent along to RLI discussion-based training by his President without knowing much about it, wondering if the RLI trainers would be like Boxer dogs whose expressions don’t change much, yapping Terriers, or preferred one year-old house trained Labradors! Mr Boyd then joined the International RLI panel that also included The Rotary Foundation Trustee PRIT Ian Riseley from Australia, TRF Trustee Jackson Hsieh from Taiwan, RI Director Guiller Tumangan from the Philippines, RLI Faculty Trainer Rob Crabtree from NZ, and International RLI Vice-Chair Australia, NZ and Oceania Cathy Roth from Australia who answered questions about RLI in their parts of the Rotary world. RLI, NZ and Pacific Islands Division Chair Beryl Robinson gave an update about the state of RLI in that region where all six NZ-based districts frequently run RLI Part 1, 2 and 3 courses. District 9920 was the first district in Australasia to facilitate the popular RLI Graduate program that has been offered annually for the past three years. NZ-based Districts 9910 and 9920 are now rolling out RLI into their Pacific Islands, including Norfolk Island, Fiji and French Polynesia. 19 of the 21 districts in Australia hold RLI courses and hopefully the remaining two districts will join RLI by the end of this Rotary year. Following on from Mrs Robinson’s involvement on the International RLI Online Courses Committee, it is planned to trial distance learning in conjunction with Mrs Roth and an Australian e-club in 2015, which will also open up opportunities to get RLI into remote areas and the South West Pacific where it is difficult to get to RLI courses in a main centre. 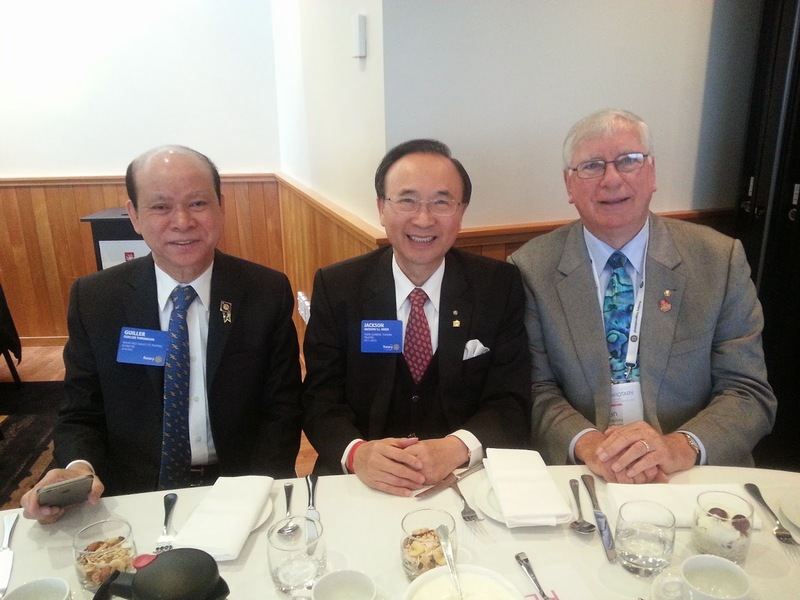 RLI breakfasts are highlights of Rotary Institutes down under, so they will be continued at November’s Rotary Zone 7B Institute in Nelson, NZ, and an RLI lunch will be held before Rotary Zone 8 Institute in Melbourne, Australia.